Make way for your new favorite dessert. 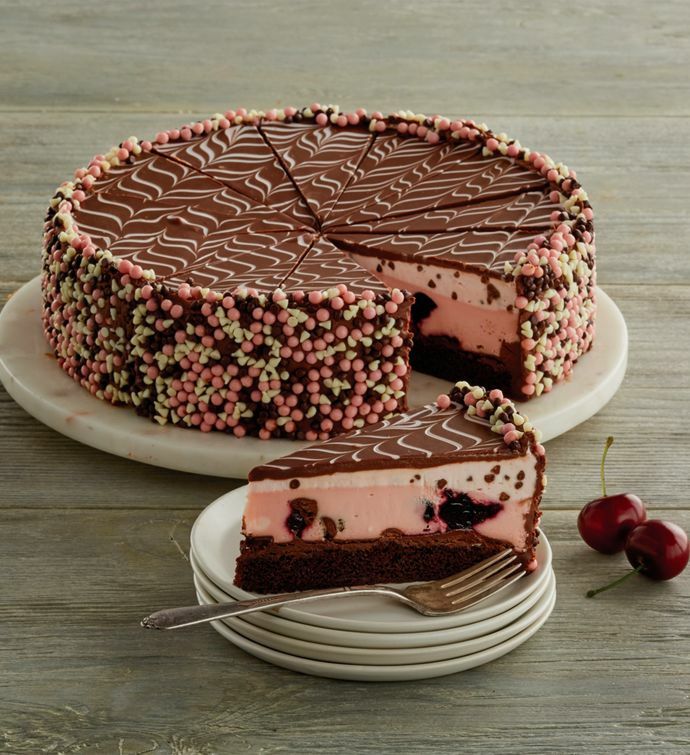 Layers of smooth Ghirardelli® chocolate, rich fudge cake, and luscious cherry cheesecake—featuring real cherries—are stacked together and topped with even more chocolate for an indescribably decadent indulgence. 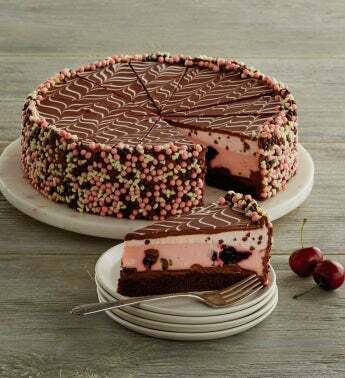 Chocolate-cherry candies adorn the outside of this impressive cake for a special decorative touch.